The Russia 2018 World Cup-bound Super Eagles contingent are scheduled to meet President Muhammadu Buhari today at the Presidential Villa in Abuja before flying out to London for Pre-World Cup clash with the Three Lions of England at Wembley Stadium on June 2. Eagles and their handlers were earlier billed to meet the president yesterday evening but had to be shifted till today as a result of activities marking the third anniversary of the present Buhari administration. 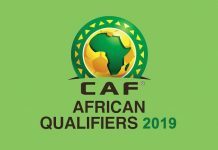 The visit is an opportunity for the countryâ€™s leader to meet with and wish the three-time African champions well on their way to a sixth appearance at footballâ€™s biggest showpiece. NFF chieftains said yesterday in Abuja that Wednesdayâ€™s session will take place at the Federal Executive Council chambers at 10am, just before the commencement of the weekly Federal Executive Council meeting. 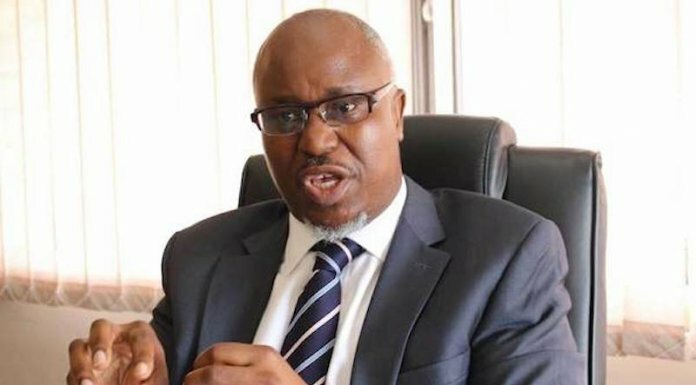 Youth and Sports Minister, Solomon Dalung, will present the countryâ€™s ambassadors to President Buhari, hours before they are due to fly to London aboard a chartered aircraft for the clash with England. In-between the final camping in Austria, the team will play a final pre-World Cup friendly against the Czech Republic at the Rudolf Tonn Stadium (just outside Vienna) on Wednesday next week. 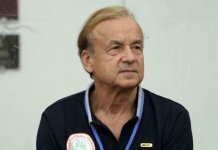 Meanwhile, Super Eaglesâ€™ Technical Adviser, Gernot Rohr and Team Captain John Mikel John have eulogised the leadership of Nigeria Football Federation (NFF) for the seminar on wealth creation and portfolio management that afforded players and officials with fresh knowledge in financial management and business opportunities on Tuesday afternoonin Abuja. Franco-German Rohr, who has lost only one competitive match since taking charge of the Eagles 22 months ago and will lead the three-time African champions at this yearâ€™s FIFA World Cup finals, commended the NFF for the move as he noted that no condition is permanent. â€œIn life, things do change and sometimes, the changes are not what we planned or prepared for. I pray for all these players to have long, injury-free careers but even then, you can only play for an average of 17 years. I played for 17 years. I wish I got this kind of guidance and advice when I was still playing,â€ observed Rohr. Mikel said: â€œSince I started playing for Nigeria, this is the first time I am witnessing this kind of seminar. I appeal to all my colleagues to take serious the lessons from this program. â€œWe must plan for the days that our bodies will no longer be able to withstand the kind of rigours they go through now. I have learnt a lot from here that I will personally apply to my life,â€ stressed the former Chelsea FC midfielder. President of the NFF, Mr. Amaju Melvin Pinnick, opened the session at the Transcorp Hilton Hotel, alongside Mr. Olufemi Obaleke, Executive Director of WAPIC Insurance Plc. Pinnick minced no words in telling players and officials that in as much as they have been making and will certainly make some money around the forthcoming FIFA World Cup, only wise financial decisions and sensible investment moves could create sustainable wealth that would spare them of any regret in the future.